On Tuesday november 15, 2016 The UK’s #1 industry event is celebrating its 5th event, which promises to be a big one! The whole industry of horticulture under one roof. 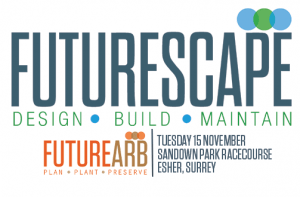 With over 200 exhibitors, Futurescape 2016 is bigger than last year. The day is one that can’t be missed with an unrivalled seminar programme, riveting debates and the chance to be inspired by those who are at the top of their game in the industry. Topic : Why environmentally friendly “green buildings” are becoming more important.